Short Mountain Cultures produces fresh, non-GMO, unpasteurized tempeh and lacto-fermented, probiotic vegetables. We source our ingredients from Middle Tennessee farms we trust who operate without the use of harmful chemicals. 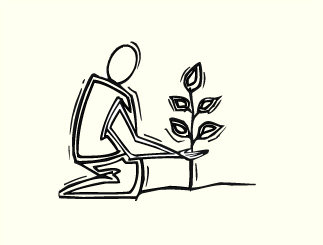 We are committed to the practice of fermentation within human culture as well. Nestled within the Arts Center of Cannon County, we proudly feature the works of emerging contemporary artists. Tempeh (pronounced TEM-pay) is a cultured, fermented plant based protein native to Indonesia. Delicious, versatile and quick to prepare tempeh readily accepts your favorite sauces, marinades and dry rub seasonings. Try it dipped in our seasonal Chili Garlic Sauce for a tasty treat. multiple types of organic beans and grains to create our signature tempeh flavors. Short Mountain Cultures crafts unpasteurized, raw, and truly local vegetable ferments. 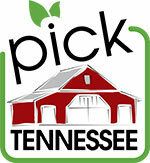 We are working with local farmers to source produce grown in Middle Tennessee without the use of chemicals. Our rotating cast of ferments includes Chili Garlic Sauce, Sour Cabbage, Krauts, Kvass, and other lacto-fermented and probiotic vegetables. Availability will vary depending on the season, harkening back to a time when produce didn’t travel 1000’s of miles before landing on our dinner plates. Stop by our shop inside the Arts Center of Cannon County to purchase tempeh or one of our seasonal vegetable ferments for your home, restaurant, or event. We can also be found in multiple farmers markets and retail locations in Nashville, TN.